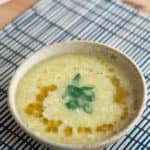 My love for soup knows no boundaries, so from hearty chilis to simple soups like this Keto Egg Drop Soup, I'm a fan! This recipe takes less than 10 minutes to make, is filling, and has rich flavors of ginger, soy and sesame oil. 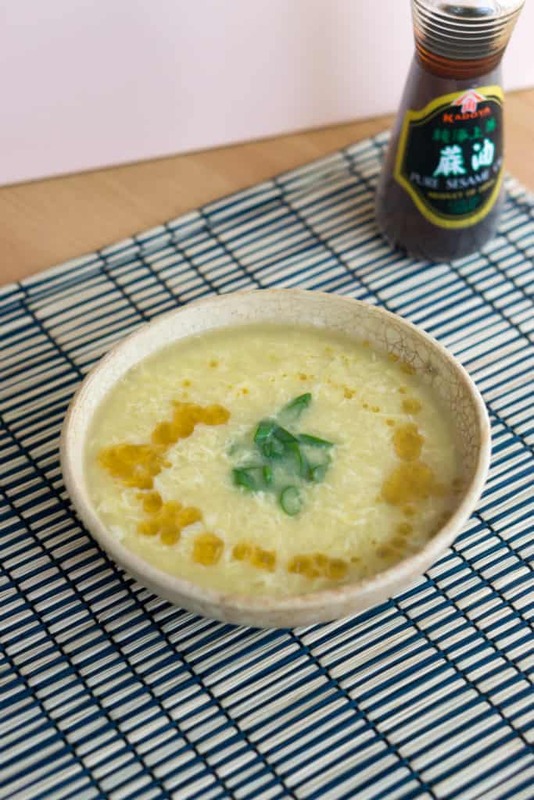 You're guaranteed to have all the ingredients in this recipe on hand and it's great for a quick meal when you're sick or when you're craving something Asian. When I hear the word easy I think in terms of number of ingredients, number of steps, and how long it will take me to make before I can devour. This recipe is definitely high up on the easy scale! It has seven total ingredients (two of which are optional). The only steps required are whisking together, bringing to a boil, adding in the eggs and eating. It takes 10 minutes or less to make. If that's not easy on your scale, I'm not sure what is! Plus, when it's homemade, you just feel so much better about putting it into your body, knowing exactly what went into it. I have always been a soup person and nothing has changed that since starting keto. I'm also someone who likes anything even remotely soup like, such as chilis and stews. They are all perfect meals, not only for the easy one-pot clean up aspect, but because they are always filling and satisfying. I love to have fun with soup toppings. I usually go with sour cream and chives. My favorite soup and soup-like recipes we have on our blog are the broccoli and cheese soup, keto chili with bacon, and of course, our low carb beef stew! If you only have ten minutes to spare for dinner, or you're looking for something filling without having to devote all night to making it, this recipe is for you! Add whatever seasonings you want or add more eggs to the broth to make it a higher calorie, more filling meal. 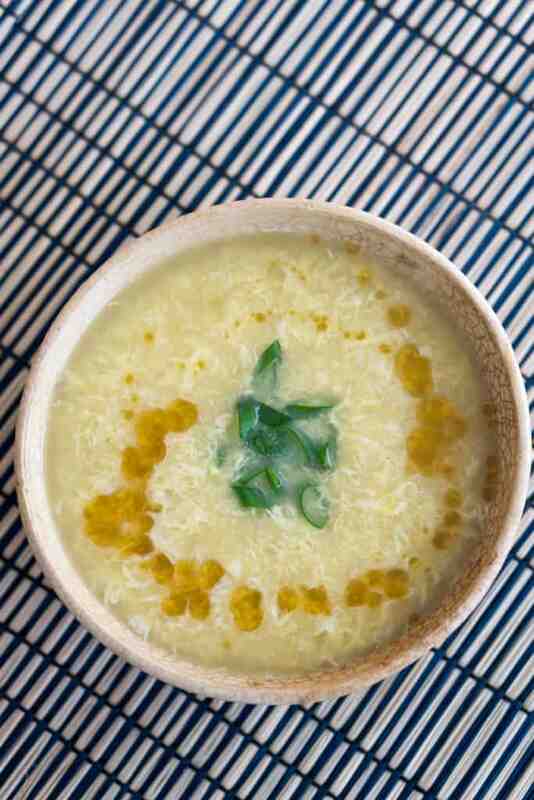 This Keto Egg Drop soup would even be a great appetizer on a Chinese take-out inspired night and you can follow it up with our low carb cashew chicken! 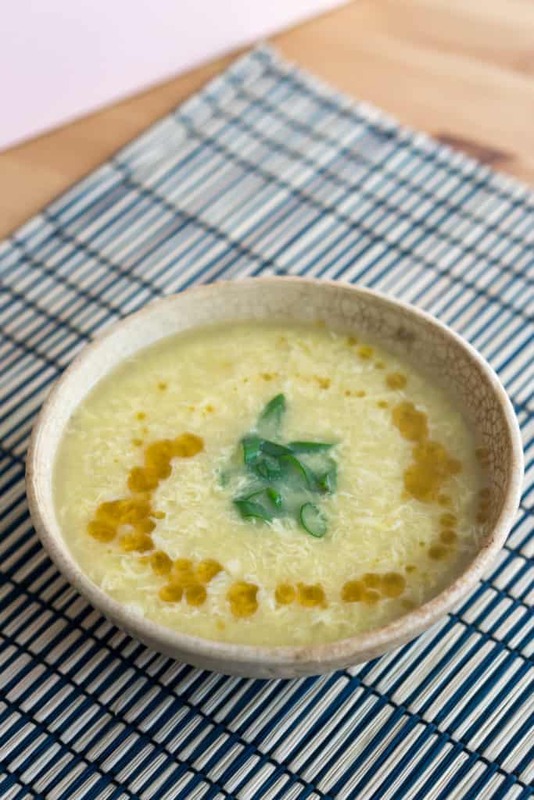 Recipe can be quickly added to MyFitnessPal - Search "KetoConnect - Keto Egg Drop Soup"
Heat a medium saucepan over medium-high heat. Add the chicken broth, soy sauce, ginger and garlic and bring to a boil. Whisk to combine and dissolve the powders. While the broth is coming to a bowl crack two eggs into a small bowl and whisk to combine. Once the broth is boiling, remove from heat and using a fork begin a circular motion in the broth. Slowly pour the egg mixture into the hot broth as you continue to stir with the fork. The egg should cook immediately in long string shape. 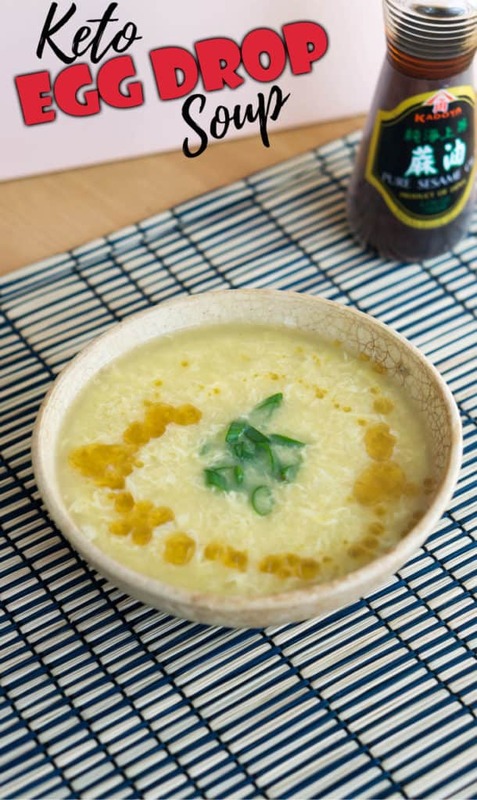 Serve immediately and garnish with 1 tsp sesame oil and green onions, if desired. This does not store well so best if all is used the day of making.